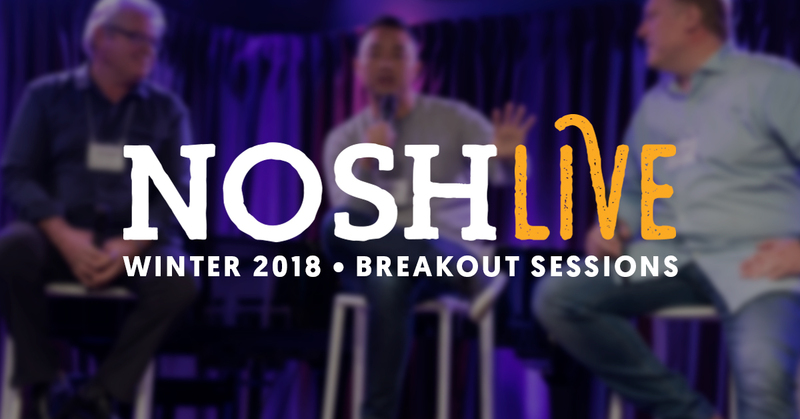 We’re introducing something new: Breakout Sessions for the afternoon of Thursday, Nov. 29, the first day of the NOSH Live Winter 2018 conference. Attendees can choose their own path during this piece of the agenda, diving into topics that are most relevant to their business. Two rounds of breakouts look at how-to topics like: cultivating influencer and celebrity partnerships, anticipating and facing a recession, managing a board of directors, and how to allocate your marketing strategy as the retail environment changes. These informal and interactive breakout sessions allow attendees to ask speakers tough questions specific to their businesses, and to get the answers they need to grow and explore future opportunities. Breakout Session I: 2:00 p.m. to 2:40 p.m.
Want to know how WTRMLN WTR and Beyonce became partners? Denis Lambertson, the Founder & Chief Connector at LMS, connects brands with celebrities and influencers that fit their brand and growth goals. Sharing case studies from her clients WTRMLN WTR, Daily Harvest, Thrive Market, and CORE Hydration, she will illustrate how emerging natural food brands can capitalize on these relationships. Lambertson will also be joined by several high profile influencers who will provide first hand advice on how to most effectively develop campaigns that will benefit your brand. Investor and consumer interest in natural foods has never been higher, but it’s not always going to be this “easy”. Brad Barnhorn, Bob Burke, and Michael Busch have worked with countless CPG companies — in good times and bad. They will share strategies for shoring up your company for when recession or other calamities hit, what to do as an industry struggles, and what not to do in order to be able to come back strong. Breakout Session II: 2:50 p.m. to 3:30 p.m.
How do investors and entrepreneurs survive each other? John Foraker, Brand Barnhorn and Ken Plasse are well-known names in the natural food industry, and have all held board positions and managed board of directors for their own companies. The trio will run through what you should look for in advisors and board members, how to best capitalize on their advice and expertise, and how to manage those relationships. Digital, In-Store, Traditional Media, they’re all on the table once you develop a marketing budget. What are the old baselines and how are they changing with an increasing set of digital tools and the changing nature of the retail shopping experience? And how do you use those digital assets most wisely to wring the most return out of your marketing spend? Veteran marketers from Beanfields, My/Mo Mochi Ice Cream and Omnicom Media Group will take a stage-by-stage look at what you get for your dollar. The full agenda for NOSH Live Winter 2018, held November 29th and 30th at the Loews Santa Monica Beach Hotel, features main stage presentations from over 20 industry founders, CEOs, and top executives from leading companies within the natural food industry. With only 10 days remaining until the event, hundreds of natural food professionals have already signed up. Register now to join them. NOSH hosts conferences twice a year to help develop and fuel the growth of entrepreneurial Natural, Organic, Sustainable and Healthy (NOSH) packaged food companies and service providers.NOSH events are two-day, cutting-edge industry conferences that drive valuable industry connections and promote the exchange of strategies and ideas. Specific to growing CPG food companies, the conference program explores growth strategy, sales, marketing, investment, and more through case-based presentations and panels by an all-star roster of speakers.